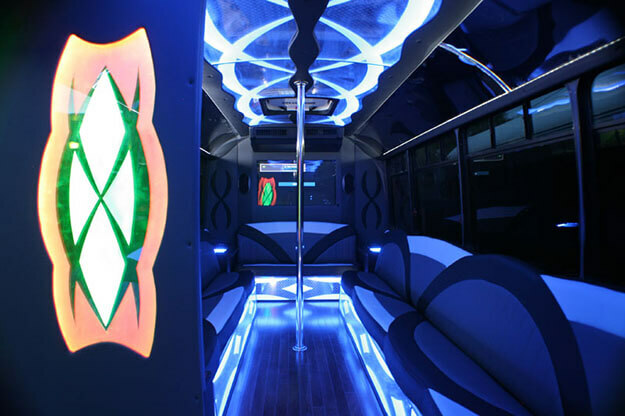 Below you will see our 22 passenger party bus. 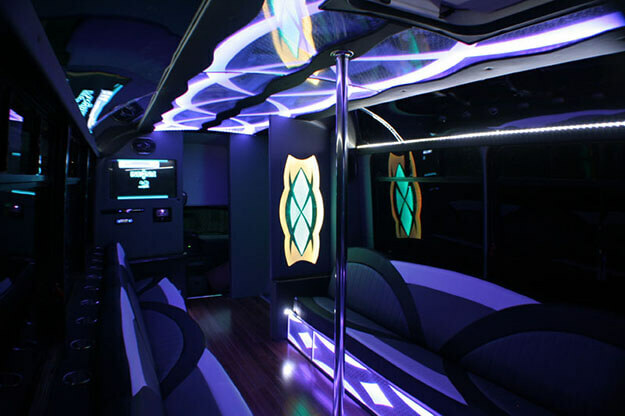 It has leather bench seating for 22 people maximum. The interior is black and gray with some white accent around. 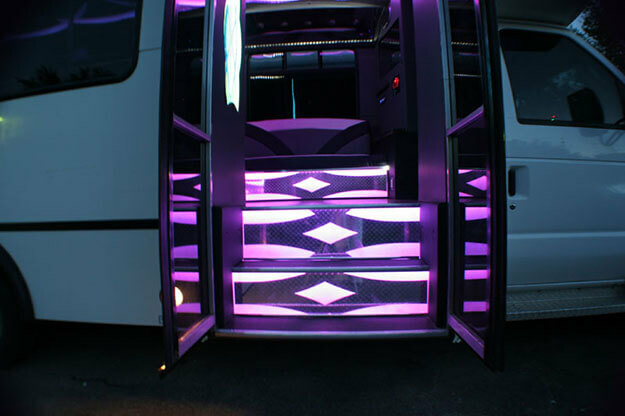 It has a color changing ceiling, kick panels, steps, and parts of the walls. It has two granite bar tops each with a built in cooler. It also has a cup dispenser and garbage can in the bar top. 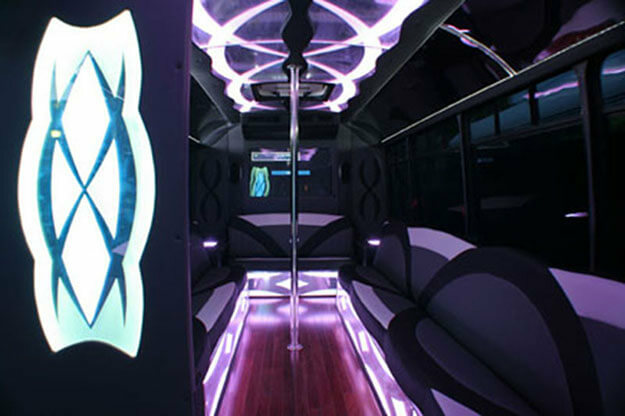 It has a loud sound system with 2 12" subwoofers and 2 6x9 sets. The sound system has a CD player with an iPod or MP3 player adapter. 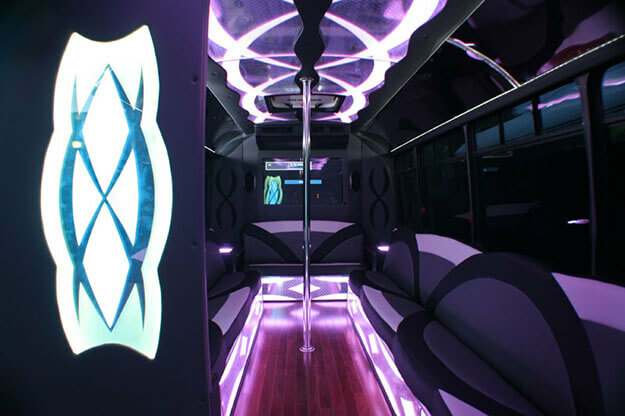 The bus has wood floors and has a dancing pole as well as grab handles on the ceiling for when you may be standing up. 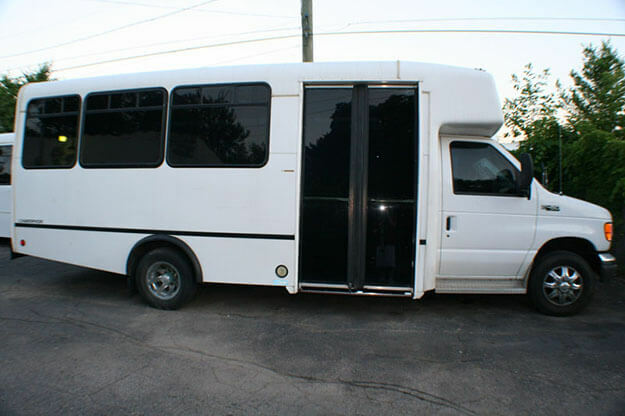 There are two flat screen TVs and a DVD player for you to watch whatever you may want. If you don't have anything to watch we can provide a screen saver DVD.